Hey, friends! Long time no … DIY. It’s Katie here! I know I’ve been MIA for a bit, but I’m here to share a DIY for the most wonderful time of the year! 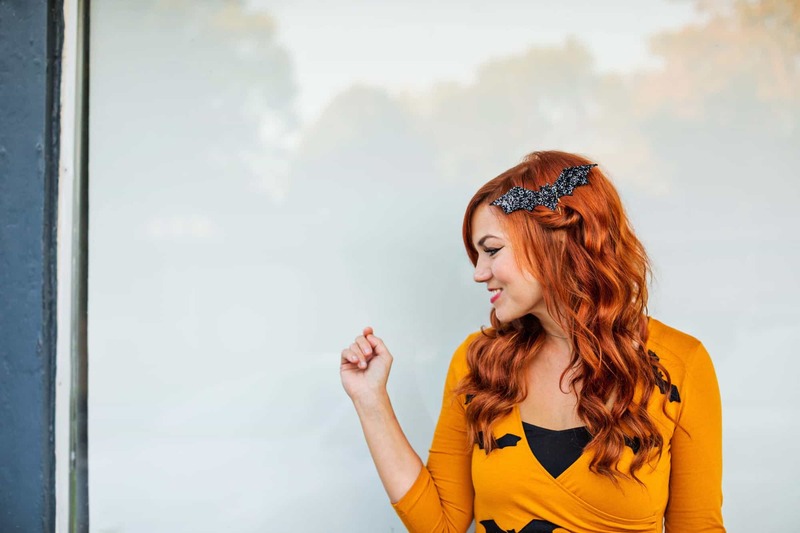 In my closet, the saying goes “the more festive, the better.” I don’t balk at pumpkin earrings or a skeleton sweater or say, a bat dress. (!!) 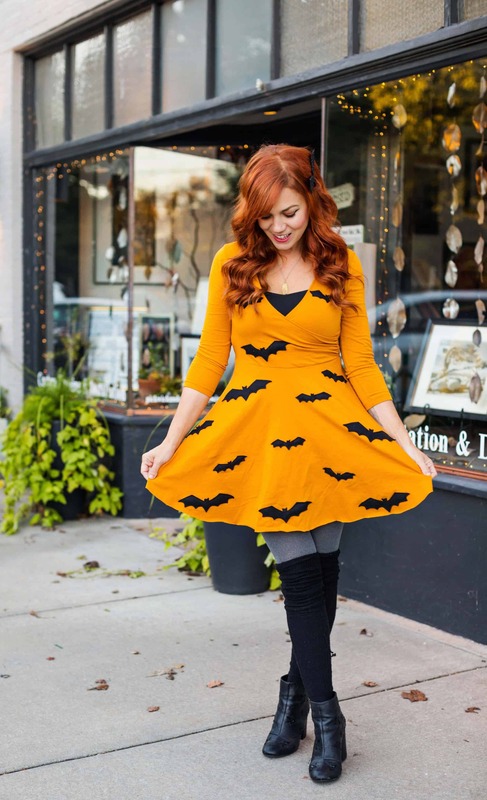 This dress puts me in the happiest of Halloween season moods and I’m here to show you how to make your own! Plus, it’s a super simple DIY, which you KNOW is my favorite! Okay, let’s get started! 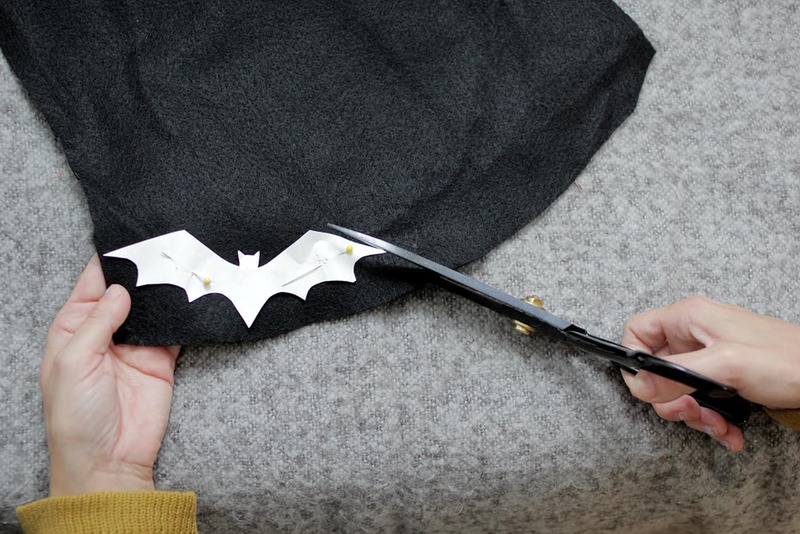 First, print your bats from the template provided. Obviously, you are welcome to draw out your own; I’m just trying to make this quick and easy for you. 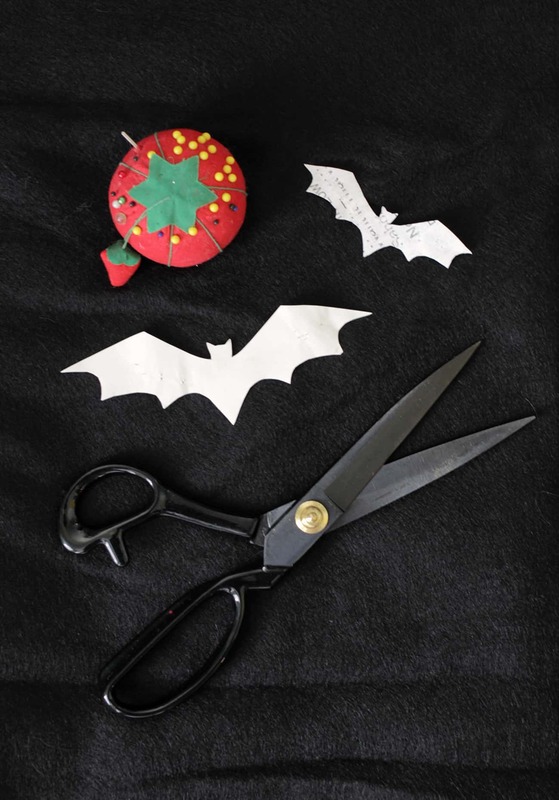 After your bats are printed, use them to cut your felt. I found the best way to do this was to use my straight pins to hold the paper in place. 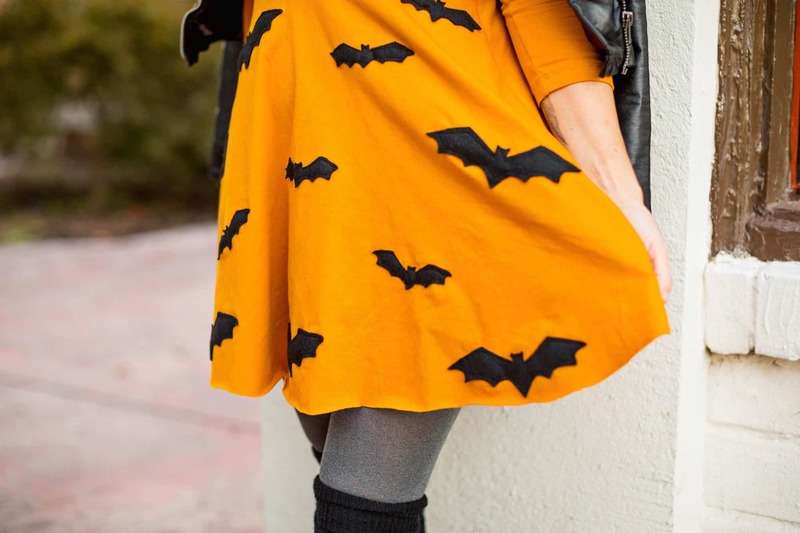 Once you have enough bats, lay out your dress and strategically place the bats and pin. Once you’re happy with the placement, it’s time to sew! 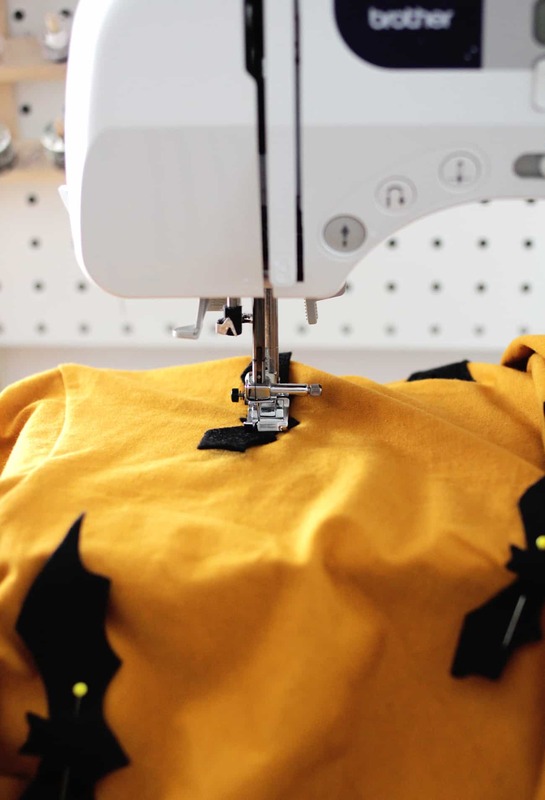 I understand that not everyone loves to use a sewing machine, so I try to keep that in mind with most of my sewing DIYs. 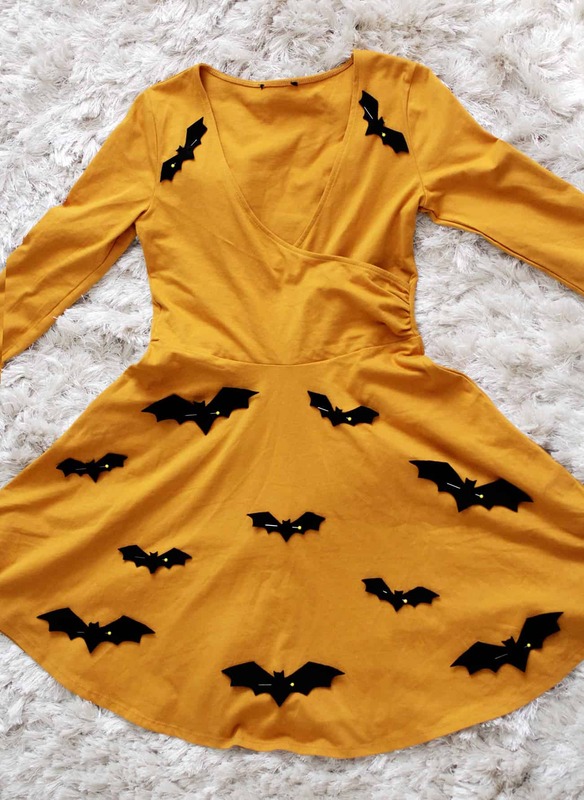 I took my dress to the sewing machine and stitched the bats in place that way, but feel free to hand stitch yours if you prefer! 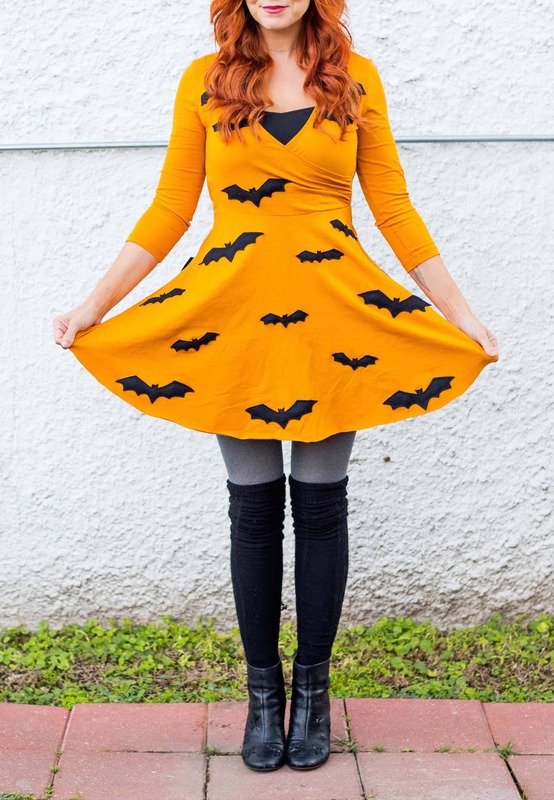 Tip: I stitched all of my bats in place and then tried the dress on to place the bats around the bust. I pinned the last few on while I was wearing the dress and then took it off to finish it up. 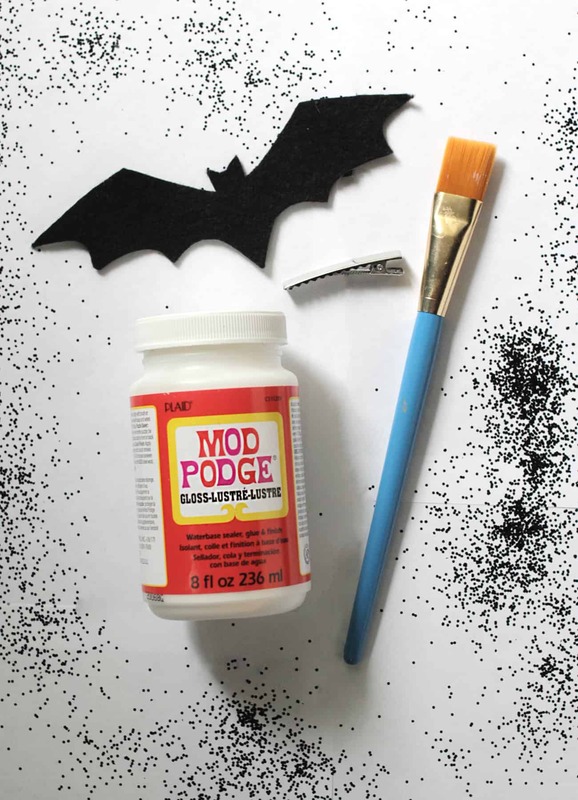 Grab a felt bat and cover it in Mod Podge with a paintbrush. Pour your glitter over the top and let dry. Once it’s dry, grab your hot glue gun and attach a clip to the back. So simple and SO cute! I actually made a couple more for my daughter, Poesy. Credits // Author: Katie Shelton. 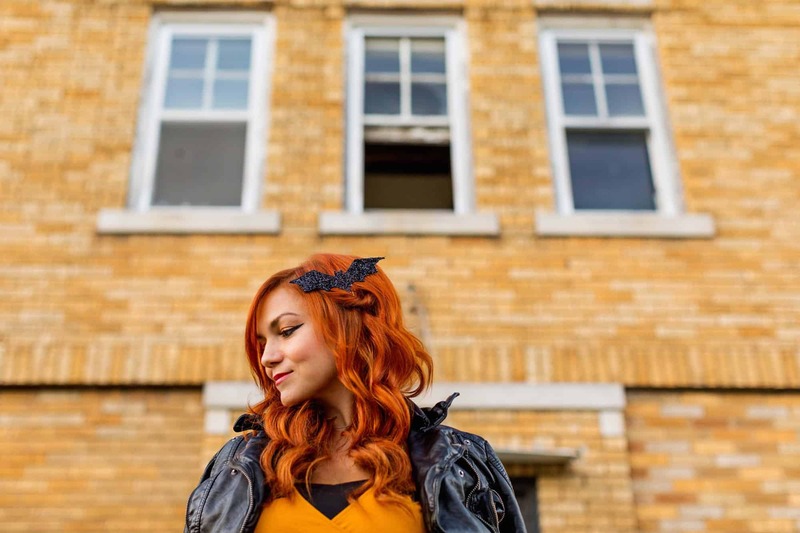 Photography: Janae Hardy. Photos edited with A Color Story Desktop.